The sixth day was to be quite relaxing, at least by hike length. The decision to take the shorter, 14km version was not so much to make it easier, but because the longer version was what I did in 2007, only in reversed direction. This way, I would ascend the peak from a bit different side. For the first time of this 8-day stay, it was ascending the peak right away, then down immediately, and then relax for the rest of the day. 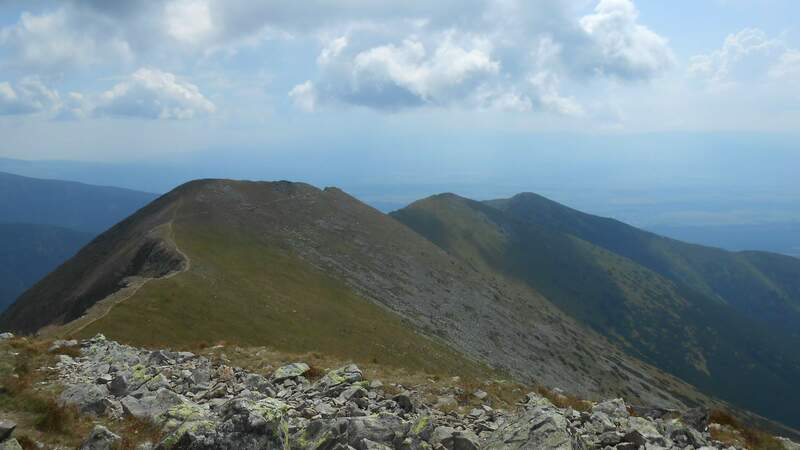 So, the sixth day was climbing the ‘Baranec’ peak, third of this mountain range. 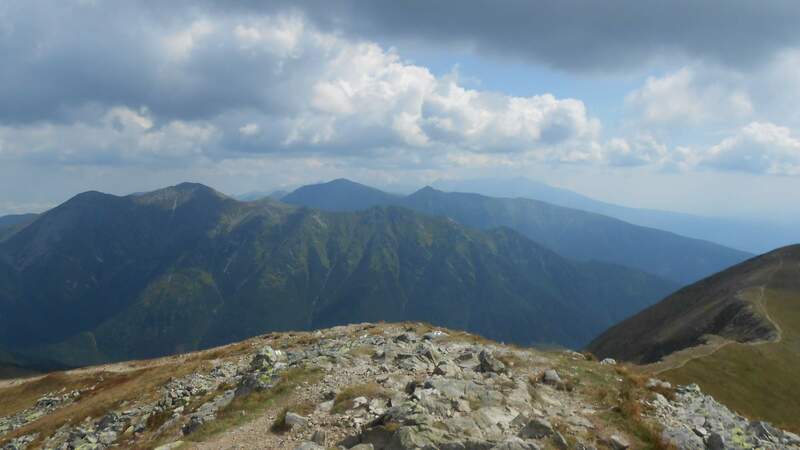 For me, it was first peak in Tatry I was returning to, after more than 10 years – since 23.6.2007. That was back in time when my yearly total was a bit over 200 km done over 10-12 hikes almost exclusively in summer, not the 700+ km and 35+ hikes per year I am at now. Now to the hike itself. The beginning was usual, ascension through dense spruce forest that remained for longer than I expected. 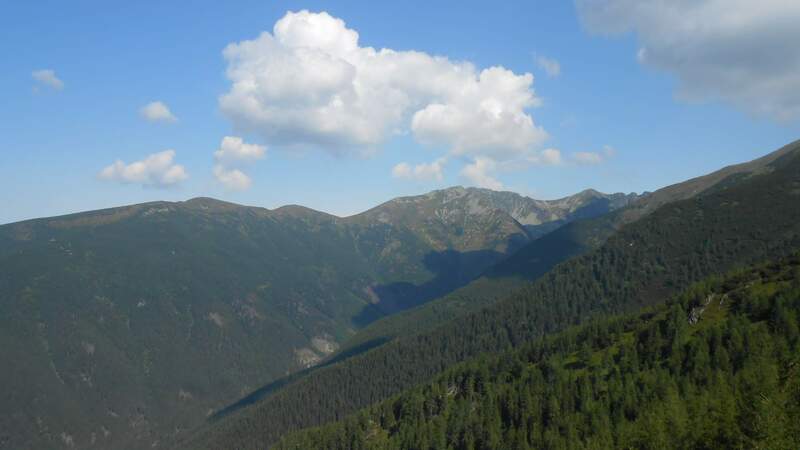 Usually, it gives way to shrub pines at some 1500 meters, this time it resisted slightly longer. When it finally did, there was a small lookout over the valley below, valley that I used to descend in 2007 and which I would visit the next day – another reason to not go up that way. Since the ascension was not broken much by peaks before the main one, we could see the path in front of us and the ridge to the right we’d use to descend. 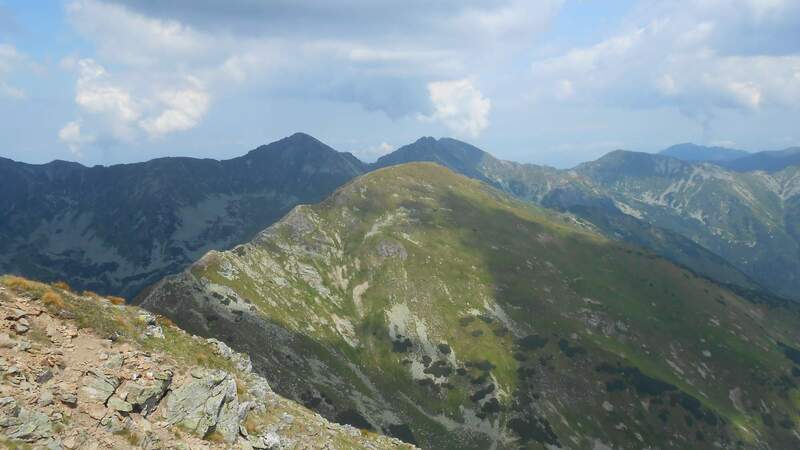 Due to the hot weather, when I reached the top, my shirts were soaked through despite the special material which resists this discomfort much longer. I removed the upper one, letting it dry in the sun and being in the much thinner and fast to dry piece (I call it spiderweb sometimes, because of how thin the fabric is). I was resisting the temptation to remove even that one, but the dozen of other people around deterred me slightly, because I am shy as that to expose my hairy chest. Eventually I did, causing quite strange looks when a breeze come and everyone was covering himself even more while I stood there without move, letting the breeze dry me up. No worries, I have no photos of that. Slightly dried up and waiting for the others to catch up, I made a few photos from the peak. Eventually we decided to start the descent. There would be little to talk about on its own as the trail is short and not too interesting on its own. 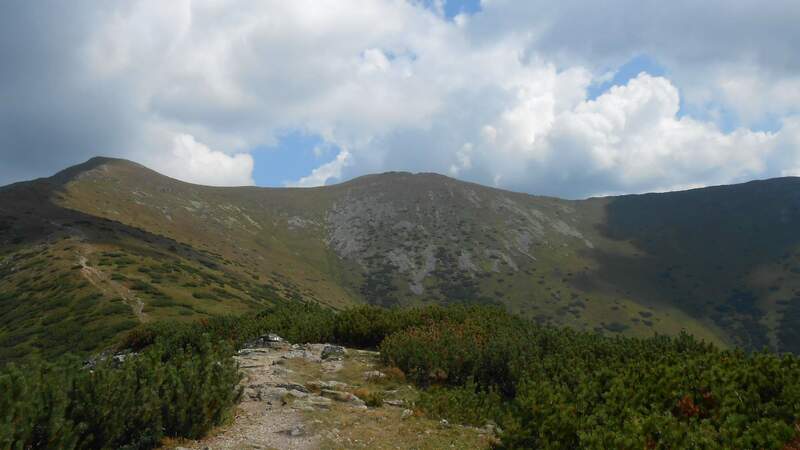 There was a slight challenge at the end – the trail leads to the central hub crossing next to the camping site, which would meant that to the hotel, it would be another 800 meters. So, the group I was in, being the first one to descent and due to me having a GPS receiver, was tasked to find the shortcut right to the hotel. Finding it was far too easy as it meant not taking a turn at one point, instead following the path used by foresters that connected to the road leading to the hotels. it was slightly worse with marking this shortcut, as I and one other man put down spruce cones and broken branches in arrow shape, hoping that the others will notice.